In my last article, I discussed how authors often fall into the trap of obsessing over irrelevant character details at the expense of info that matters. You don’t need to know everything about a character, only certain critical details: desires, strengths, and weaknesses. The same holds true for starting a story: you don’t need to know everything, only certain things…but you NEED to know those key things. In the biz, there are two general writing styles: plotting and pantsing. Plotters do a lot of planning before they write, fleshing out all the story beats before putting pen to page. Pantsers just sit down and write, making up the story as they go along. There are benefits and drawbacks to both. Plotters have an outline to follow, but they can get bogged down with planning at the expense of actual writing, or lack the flexibility to go “off-script” when presented with an opportunity to take the story somewhere exciting and unplanned. Pantsers have the freedom to be spontaneous, but too much freedom can lead to a meandering narrative that requires extensive rewrites to fix. Personally, I’m more of a pantser, though I’ve found myself doing more plotting as I’ve become a more experienced author. Whether plotting or pantsing is right for you depends on your style; no one way works for everyone. However, even pantsers need to know certain details of their story before they begin, or risk ending up with a pile of hot garbage. 1. What does the main character want, and what is his/her greatest weakness? What does your character want? You need to know because they’ll spend the entire story trying to get this thing. In the beginning of the story, the character’s main weakness is dominant and keeping them from getting what they want. As the story progresses, they gradually overcome their weakness to attain their heart’s desire. 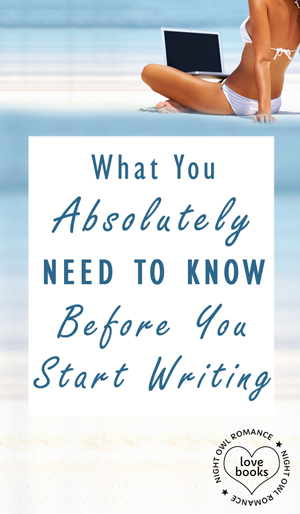 Therefore, knowing what your protagonist wants and why they don’t have it at the beginning of the story will give you a broad outline of the plot. If you don’t know these things, your hero will be naturally passive and end up just wandering around doing random stuff or reacting to random events, which is not a satisfying story. 2. Who/what is the main opponent? There is always an opponent, whether it’s an outright villain or someone who’s the personification of forces working against the hero. It’s tempting, especially if you’re writing a literary-type story, to declare the hero as the main opponent—“He is his own worst enemy!”—but that’s a cop out. Yes, the hero is fighting his own internal weaknesses, we know that already. What we don’t know is what is forcing him to change and confront his internal weaknesses to begin with. The hero begins the story in some sort of fragile equilibrium, ruled by their major weakness but not caring enough to change, until the inciting incident comes along and shakes things up. The opponent is the physical entity who forces the hero to change in order to get what he wants, and needs to be determined at the beginning so the story in order to focus the conflict. 3. What world is this story taking place in? 4. Where, mentally and physically, are all the major players in the beginning of the story? Just like your main character, all the other characters start with desires, too. As the story begins, how are they trying to reach their desires? Where are they in the world, and how are they on a collision course with the main character? Mind-blowing epiphany time—in the best stories, all the major characters are actually different versions of the main character. They form what John Truby in The Anatomy of a Story calls a “character web,” in that they exist to provide contrast for your main character’s desires and weaknesses. When you set the Rube Goldberg machine of your story into motion, each time your hero comes into contact with a major character, there should be a reaction that shoots the hero off in some other direction. General rule of thumb—if you can take a character out of the story and it doesn’t affect the hero’s path, then take that character out because they are useless. 5. Generally, how will the story end? You don’t need to know exactly how your story will end, but you need to have an idea. Does the hero get what he wants or not? I’m fond of the analogy of comparing writing to driving in the dark from New York to Los Angeles: you can only see a few feet in front of you, but you can still make the entire trip that way. However, you need to know you’re headed to Los Angeles, as opposed to, say, Ontario. Because you’ll be WAY off track if you drove to Los Angeles and then realize once you get there you really wanted to go to Ontario. You might have to give up on the trip altogether! Don’t let that happen to you. Next Time: Don’t Skip the Inciting Incident!